In the recent meetings of Gay-Straight Alliance, members have begun to include presentations of LGBTQ history, including many prominent and influential figures in the community. As they review the achievements and struggles of the LGBTQ individuals of the past, they also have a piece of that history among them: club sponsor Vaughn Henderson. 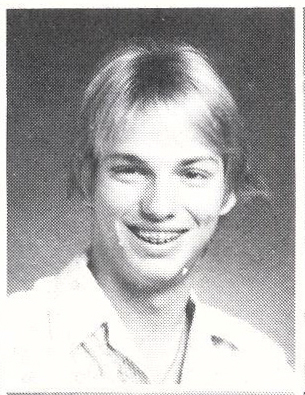 Henderson attended Coral Springs High School, graduating in 1982. During this time, he says there was little talk of the LGBTQ community because it was so heavily stigmatized. Henderson was not able to be open about his sexuality during high school for fear of backlash from his community and peers. “No one ever came out in high school because … they would have gotten beaten up; they would have been kicked out of their home; they would have lost anything they could have gotten in society,” Henderson said. Unlike today when multiple schools across the country have GSAs and adults that LGBTQ students can turn to for advice and support, Henderson didn’t have any access to a safe environment where he could freely express himself and talk about his sexuality. The lack of representation in mainstream media as well as the lack of informative and respectful conversation on the topic of sexuality and LGBTQ individuals had an impact on Henderson’s sense of self. Henderson also witnessed the discrimination and backlash toward the gay community during the ’90s as the public wrongly associated such individuals with the AIDS disease that was spreading during the period. As he looked back on his experiences, Henderson recounted how the representation of LGBTQ individuals in the mass media has changed.